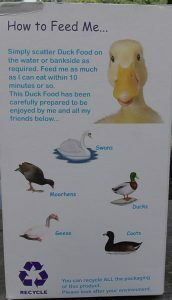 It’s all about how much you give, and how much money you are prepared to pay- that’s feeding the ducks now. 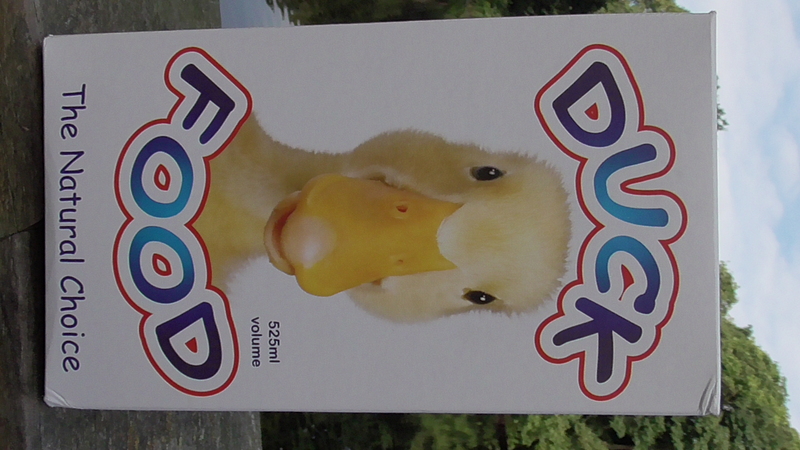 There have been all sorts of rubbish written on social media concerning bread, but let’s look at one of the so called “duck foods” on offer as an alternative. Priced at £1.50 for this you get 525ml by volume- not sure why this is not expressed in weight- but probably because it isn’t very much. These pea sized pellets float and the ducks do appear to like eating them, as they do almost anything. The problem I have with this so called “natural choice”, aside from the extortionate price, is that when you take a closer look at the ingredients, it is anything but “natural”. 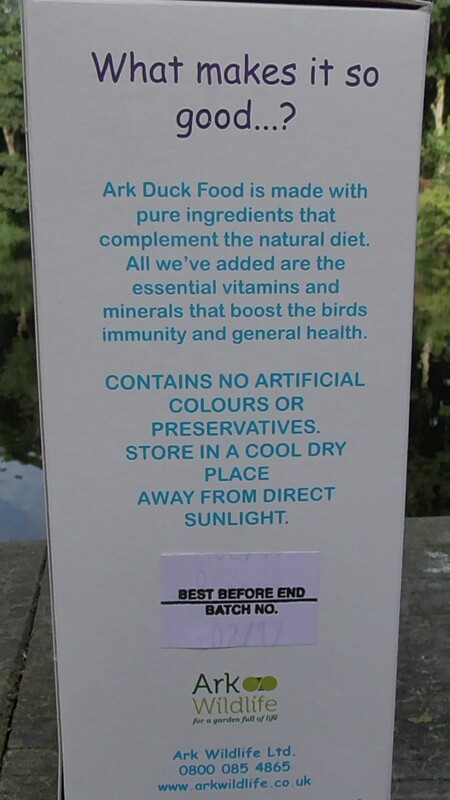 Boasts are made about vitamins and minerals which “boost the birds immunity and general health”. The mass of the vitamins in the food is also poorly expressed in International Units, the common measurement of medications, vaccines and vitamins. Unfortunately the type of vitamins on the ingredients list are not defined and so this makes it impossible to calculate the amount in standard micrograms or milligrams. It is also further strange that they have then expressed the amount as a mixed iu/kg. 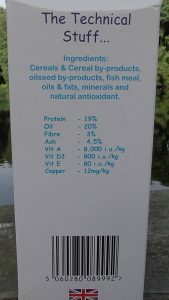 Perhaps the amount expressed in IU fools people into thinking that the birds are getting a load more of the “good stuff” than they really are- I mean 8000 iu/kg of vitamin A sounds a lot doesn’t it? But what is this actual mass by weight? Fortunately there is an excellent conversion chart available to work this out. In the ingredients list on this product therefore the type of vitamin A and E are not defined so we do not know what type of vitamin is in the food but as vitamin D3 – cholecalciferol is listed this can be calculated. In one packet 525ml is equivalent to 525 milligrams. there are 1000 grams in 1 kg, or 1,000,000,000 (1 billion) micrograms. This clearly does not amount to much D3 content per pack, even though the 800IU sounds quite a large quantity. Given that many birds may be on a lake, the amount each bird consumes is further impossible to calculate. Some may get more, others nothing at all. 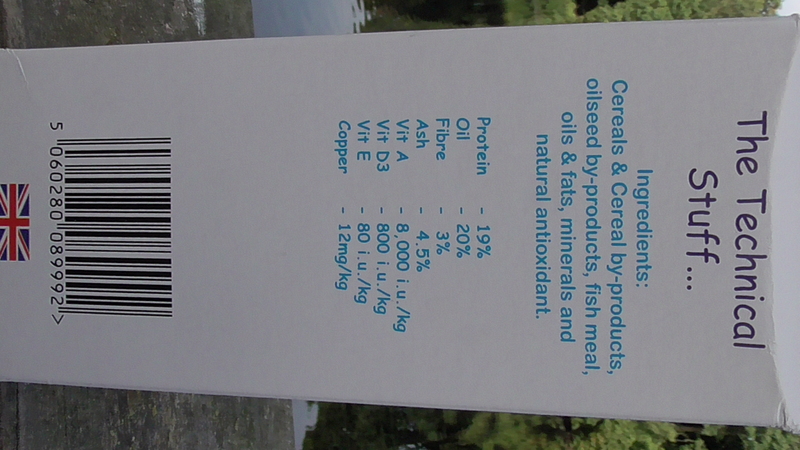 But the biggest surprise about this “natural choice” is the revelation that it contains “fish meal”. 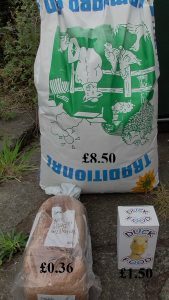 For those who are interested in ethical considerations or even veganism, it is perhaps inconsistent to be buying a product which contains ground up fish offal and bones. 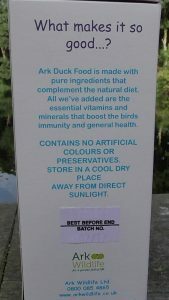 In fact no wildfowl would ever eat such material in the wild from fish, and so the idea that this is a “natural food” starts to unravel at the first hurdle when looking at the ingredients list. 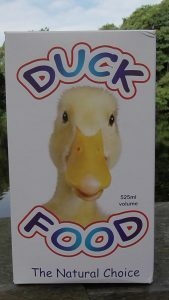 This food is in fact little more than fish food repackaged with a picture of a cute duckling on the front to advertise it. 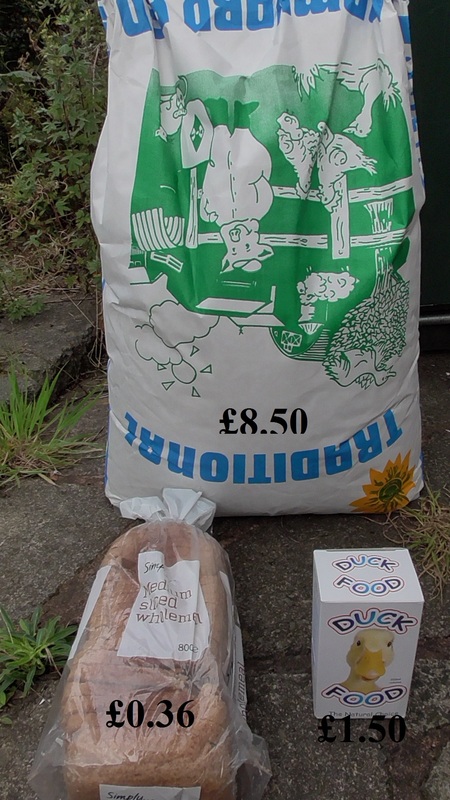 As winter approaches and food becomes scarce, it is perhaps left to the consumer as to what they are prepared to pay to care for our wildfowl. 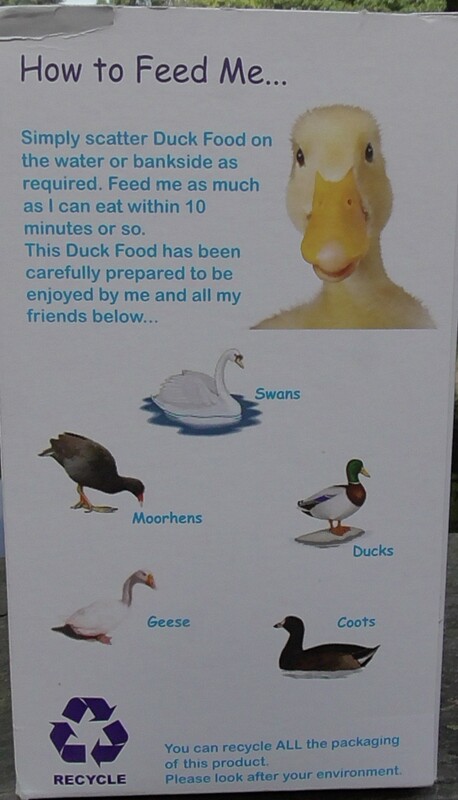 I’m not sure birds that can decide what they want to eat and when they want to eat for themselves are that interested in the obsession of human dieting and nutrition. It is just about survival, and without natural vegetation on offer, a slice of bread goes a lot further than glorified fish guts.